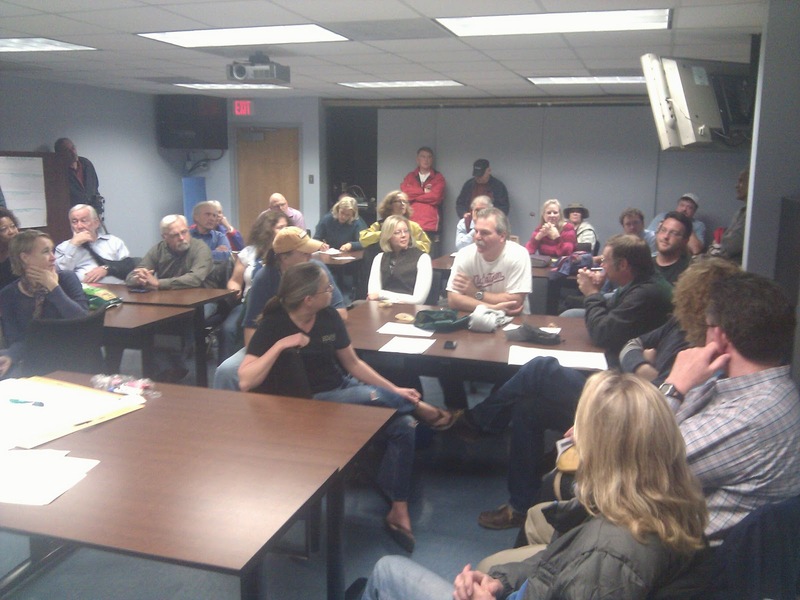 On Nov. 15 at 7:00PM over 50 slipholders from Gangplank Marina crowded into the Harbor Patrol community classroom. The Gangplank Slipholders Association (GPSA) had worked tirelessly over the past 6 weeks encouraging slipholders to attend a charrette focused on the Hoffman Madison Waterfront (HMW) plans for a new Gangplank Marina in the Wharf development on the SW Waterfront. 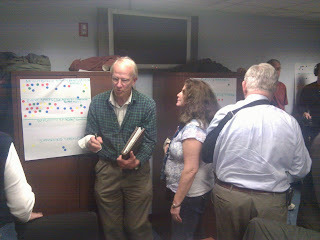 Slipholders worked intensely for 2.5 hours to provide feedback they hope the HMW team will find beneficial in terms of preserving the unique community at Gangplank and creating a marina that is part of a world-class waterfront. The process and results of the charrette are detailed in the GPSA Charrette Report. After the report was compiled, GPSA emailed a copy to the HMW team on Nov. 23 and requested a follow up meeting to discuss the results. GPSA hopes to continue working with the developer to facilitate the successful redevelopment of a SW Waterfront where people will want to live, work, shop, and spend their free time enjoying the beauty of our city. 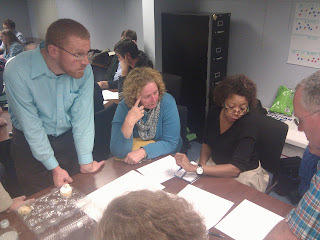 Below is a brief summary and photos from the event. Slipholders value their community. The number one priority in both portions or the charrette was maintaining the current marina community. 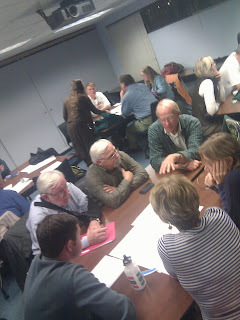 Slipholders believe spaces that encourage regular community interaction and spaces that accomodate larger community gatherings are equally important. An indoor community space is highly desired. Other top priorities include safety and security, walkability, convenience of services, minimalist and functional design, well-placed lighting and avoiding light and noise pollution from landside development, and additional services to assist in more eco-friendly living. With regard specifically to layout, new ideas included alternative slip orientation that would promote longevity of boats, boating equipment, and the marina, encourage community interaction, and enable safe navigability.